Founded in 1976, and relocated to the new Visitor Centre in 2011, the Yosef Wosk Library and Resource Centre is the largest public access botanical and horticultural library in western Canada. The Yosef Wosk Library and Resource Centre’s valuable research collection complements the living resources of VanDusen Botanical Garden. In addition to our collection, you can enjoy regular art exhibitions in the Roberta Mickelson Gallery, which is inside the library. The Yosef Wosk Library and Resource Centre is open for research purposes to the general public without charge. Borrowing privileges are restricted to VanDusen Garden members. 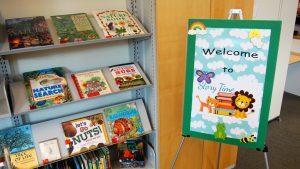 Books at the Yosef Wosk Library and Resource Centre are organized by subject – if you’re interested in roses, you will find all the books on roses in one place. Reference and lending books are shelved side-by-side. You can tell them apart because all circulating books have a green stripe on their spines, indicating that they can be borrowed (by Garden members). Books without a stripe are for reference only, and will always be available for research in the library. Note: the Yosef Wosk Library and Resource Centre is not part of the Vancouver Public Library system. Borrowing privileges are restricted to members of VanDusen Botanical Garden. Members can borrow a maximum of 2 books at a time for a loan period of two weeks. Circulating items may be renewed once by e-mail or phone (if they are not already overdue, and if no hold has been placed on them). Fines are charged for materials returned after the due date, and damaged or lost materials must be replaced or paid for by the subscriber. Materials can be returned to the Library during regular Library hours or at the Information Desk when the Library is closed. The Yosef Wosk Library and Learning Centre gratefully accepts donations towards new and gently used books for our collection and our used book sales. An international organization whose purpose is to initiate and improve communications among persons and institutions concerned with the development, maintenance and use of libraries of botanical and horticultural literature. Illustrations by Elayne Sears and Bobbi Angell. North Adams, MA : Storey Publishing, 2004. Call #: SB324.3 .D475 2010 | 1 copy circ. Drought, flood, hail, and wind, and lightening are just a few of the challenges that extreme weather can present as you’re trying to grow healthy plants. Charles W. G. Smith helps you tackle unforeseen weather changes using his ingenious defensive approach to gardening. With profiles of 100 hardy plants and tips on expertly dealing with broken tree limbs and uprooted plants, Smith provides all the information you need to plan and maintain a gorgeous, durable garden that will stand up to whatever nature throws at it. Are you a member? If so, come join our friendly group on the 4th Tuesday of month (except July, August and December) from 1:00 pm – 2:30 pm. in the Visitor Centre’s Volunteer Lounge. The Yosef Wosk Library & Resource Centre Book Club has been meeting since 2008. Discussions focus on an eclectic variety of topics related to botany, horticulture and the natural world including gardening, gardens and gardeners, plant exploration, gardens in literature and art, ecological and environmental issues, natural history and more. For the months when a topic (rather than a single book) has been selected, members are asked to choose from among the suggested books or to find their own if no particular suggestions have been made. Each of our meetings are facilitated by one of our members. People are encouraged to share in this process and volunteer to take on the occasional session. For a more information, contact Marina Princz at library@vandusen.org or at 604-257-8668. 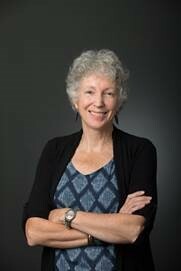 Pamela Fayerman is a Vancouver Sun medical/health issues journalist who has been writing about clinical medicine, research science and health policy for over 20 years. 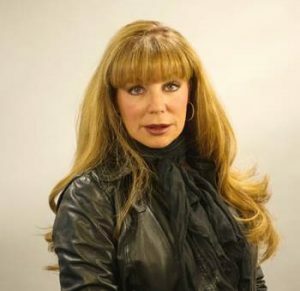 She has garnered many news reporting awards and has worked at newspapers across Canada. Pamela studied photography at Ryerson University while doing her program in journalism. Botanical photography, especially using macro lenses, has been a passion for the last decade. It is a mindfulness pursuit that also fulfills her curious and creative nature. “Flowers are often extravagant and exotic and they are a naturally ideal subject for macro photography because of their sensual shapes, sublime colours and luscious textures,” she says. Pamela was one of about 100 photographers selected in 2016 to take outdoor photographs across Canada for an event called Canada’s Golden Hour Photo project. It showcased the talent of photographers across the country. She is an avid gardener and many of the photographs in this exhibition were taken in her own garden, along with public gardens like VanDusen. Her website – pamelafayerman.com – features many photographs shot in gardens around the world. Pamela is a volunteer gardener at a Vancouver nursing home. She is also a board member of the Vancouver Botanical Gardens Association. This exhibit will run from April 5 – June 26th. Exhibit opening will be held on Saturday, April 6th from 2-4 pm. Refreshments will be served, all are welcome! Come join us for the first of three presentations for the 2019 Speaker Series! Join us for a talk with acclaimed horticulturalist and award-winning author of The Informed Gardener, Dr. Linda Chalker-Scott, who will share information and tips for gardening with native plants of the Lower Mainland and Pacific Northwest. 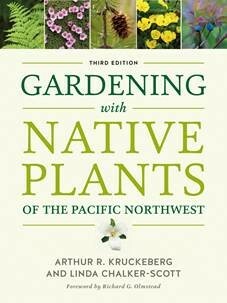 The master gardener will also answer questions from the audience and sign copies of her new book, Gardening with Native Plants of the Pacific Northwest — an extensively revised and updated edition of Arthur R. Kruckeberg’s beloved tome. Books will be available for purchase through credit card or cash. This event is free of charge, and we strongly encourage you to reserve your seat online ahead of time. Click here for more information. A few walk-in spots will be available on a first come, first served basis. There’s still room to sign up, 30 new seats are available! Linda Chalker-Scott is associate professor of horticulture and extension specialist at Washington State University. Based in Seattle, she is a cohost of The Garden Professors blog and author of numerous books, including The Informed Gardener. With more than 900 beautiful and informative photos of native trees, shrubs, perennials, grasses, and annuals, this newly updated edition of Gardening with Native Plants of the Pacific Northwest is more user-friendly and extensive than ever before. It includes revised designations for species, genus, and family names for numerous native plants, each of which has been carefully selected as gardenworthy, and several new chapters by Linda Chalker-Scott on garden ecology and the latest garden science. Thorough, practical, and easy to use—this is an invaluable resource for all Northwest gardeners. Arthur R. Kruckeberg was a renowned naturalist and a professor of botany at the University of Washington for nearly four decades. He is the author of numerous books, including previous editions of Gardening with Native Plants of the Pacific Northwest. 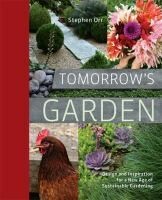 Tomorrow’s garden : design and inspiration for a new age of sustainable gardening by Stephen Orr. New York : Rodale, 2011. Orr traveled the United States from coast to coast to find gardens both large and small that show how responsible gardeners are re-imaging the definition of a modern garden and addressing design, plant choice, water usage, materials, and more, in exciting, innovative, and often surprising ways. Bringing nature home : how native plants sustain wildlife in our gardens by Douglas W. Tallamy. Portland, Or. : Timber Press, 2009. 1 copy ref., 1 copy circ. The pressures on wildlife populations today are greater than they have ever been and many gardeners assume they can remedy this situation by simply planting a variety of flowering perennials, trees, and shrubs. As Douglas Tallamy points out in this revelatory book, that assumption is largely mistaken. Wild creatures exist in a complex web of interrelationships, and often require different kinds of food at different stages of their development. There is an unbreakable link between native plant species and native wildlife. When native plant species disappear, the insects disappear, thus impoverishing the food source for birds and other animals. Fortunately, there is still time to reverse this alarming trend, and gardeners have the power to make a significant contribution toward sustainable biodiversity. By favoring native plants, gardeners can provide a welcoming environment for wildlife of all kinds. Healthy local ecosystems are not only beautiful and fascinating, they are also essential to human well-being. By heeding Douglas Tallamy’s eloquent arguments and acting upon his recommendations, gardeners everywhere can make a difference. by Christopher, Thomas. Portland, Or. : Timber Press, 2011. 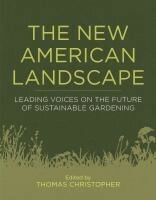 The New American Landscape offers designers a roadmap to a beautiful garden that improves, not degrades the environment. It’s a provocative manifesto about the important role gardens play in creating a more sustainable future that no professional garden designer can afford to miss. Shamanic gardening : timeless techniques for the modern sustainable garden by Melinda Joy Miller. Port Townsend, WA : Process Media, 2012. 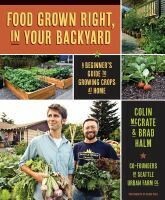 Food grown right, in your backyard : a beginner’s guide to growing crops at home by Colin McCrate. Seattle, WA : Skipstone, 2012. This book provides an easy, inspiring introduction for first-timers who want to grow their own food while saving money and time. Written by the founders of the nationally recognized Seattle Urban Farm Company, this full color, beautifully photographed guide, they prove that anyone can develop a “green thumb,” as they show readers how to build a garden from the ground up, explaining general gardening basics and discussing the best types of crops to try. 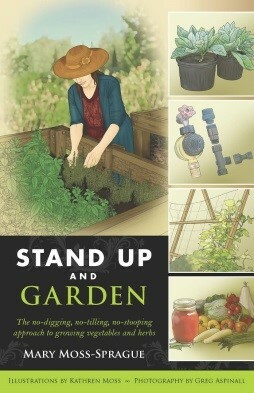 Stand up and garden by Moss-Sprague, Mary. Woodstock, VT : Countryman Press, c2012. Registration for March 27th session begins February 27th, 2019. Registration is required due to limited space, but program is free! Younger siblings welcome if quiet and engaged.